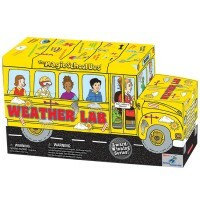 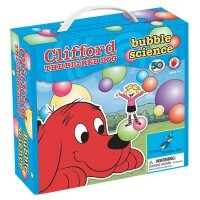 Conduct your first magic science experiments along with kids' favorite big red dog, Clifford! Make your first steps in science along with kids' favorite big red dog, Clifford! 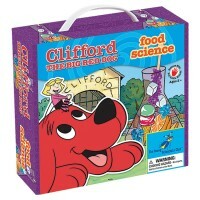 Clifford Magic Science Preschool Science Kit from the bestselling Young Scientists' Club's toy series for preschool kids, takes children on a adventure into the world of science. 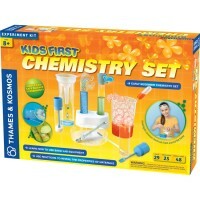 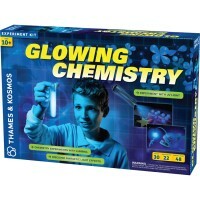 This magic science kit comes with a rainbow glasses, measuring cup, test tube, bottle connector, screen, sponges, alab tray, and other lab tools and materials to conduct first science experiments at home. 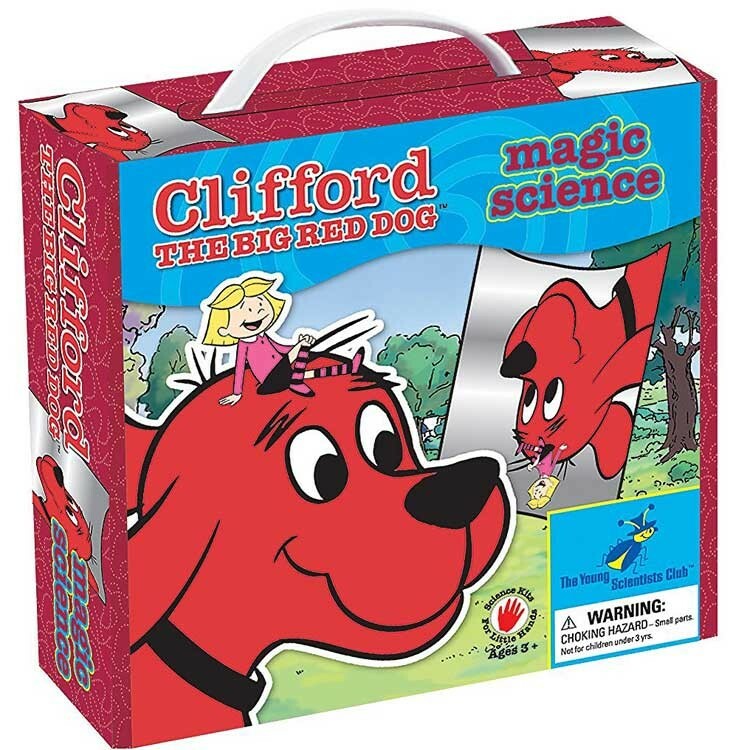 The enclosed 20-page activity guide features Clifford's owner and friend, Emily Elizabeth, as a narrator and commentator of all magical experiments. 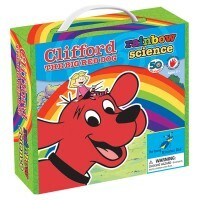 With the Clifford Magic Science Preschool Science Kit preschool scientists can experiment with funny mirrors, reverse reflections, underwater rainbow, special rainbow glasses, magic comb, hopping pepper, paper making magic, floating eff, magic crystals, lab test tube explosion and more. 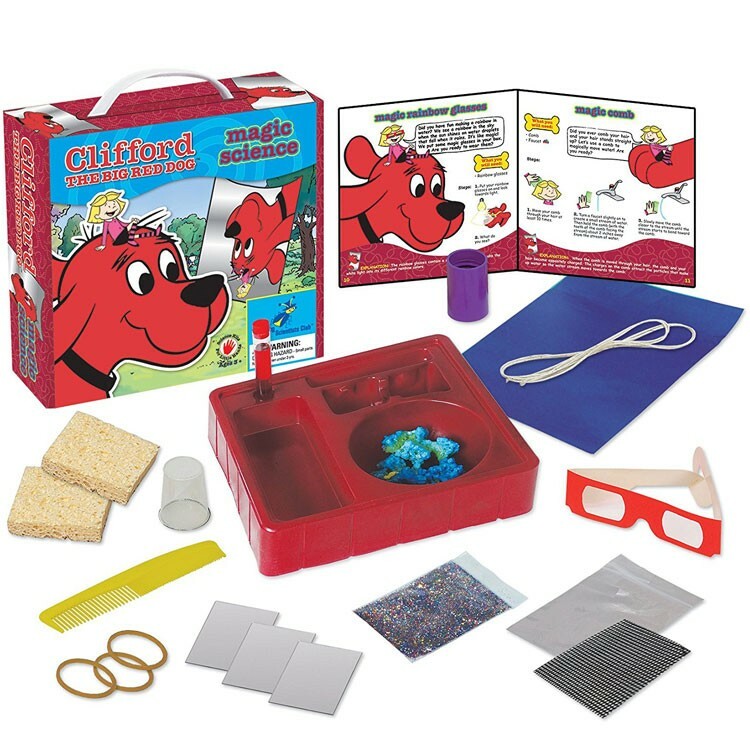 Make your own kaleidoscope to learn about optics and colors. 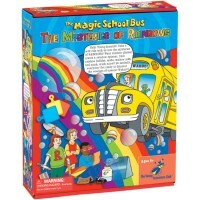 Observe a home-made tornado in a bottle. 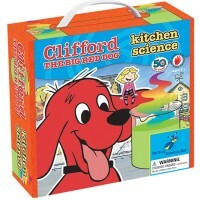 The magic science kit will allow the children to turn kitchen table into magic science lab, and discover science behind the magic. 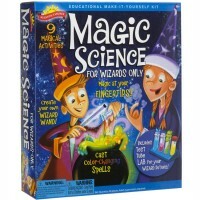 Learning tricks from this magical experiment set from Educational Toys Planet will also make your young wizard really proud of himself/herself. 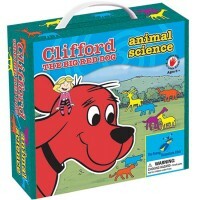 Dimensions of package 9" x 9" x 2.5"
Write your own review of Clifford Magic Science Preschool Science Kit.